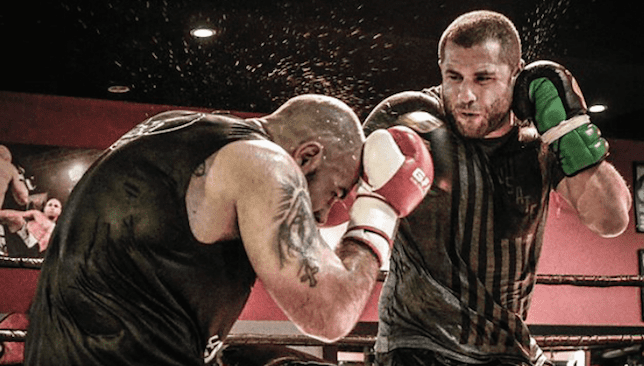 Gokhan “The Rebel” Saki is a world class striker who is about to take on the Ultimate Fighting Championship (UFC) light heavyweight division! The announcement was made this May, 2017, yet the date of his UFC debut is yet to be confirmed. He is a resident of the United Arab Emirates (U.A.E) and trains with Tam Khan in TK MMA gym. He is also an epic training partner to the up and coming Emirati MMA fighter Mohammad Yahya, who just signed a multi fight-deal with Bellator MMA. This Turkish-Dutch fighter is an intense and aggressive striker that very few can stand and trade with. He holds a pro Kick boxing record of 83-12 (1), 59 of which via KO. His record under Glory promotion alone is 7-2-0. “The Rebel” has numerous titles to his name; World Muay Thai champion 2003, K-I Grand Prix Final 3rd place in 2008 and 2010, Glory heavyweight and Light Heavyweight Champion 2010 and 2014. “The Rebel” does have one MMA fight under his belt in Glory, where he lost to the Englishman James Zikic in 2004. But this has in no way discouraged him or his confidence in his ability to cross over into the UFC for good. The UFC Light Heavyweight division, where he will be competing, is going to be re-energized and explosive once again after a slow decline in the action. “Im glad I finally can announce that I have signed an exclusive long-term contract with the UFC” ” – Saki on Facebook. Saki is not entering the octagon relying only on his striking skills. Although he recently retired from the kickboxing world, after contractual and personal disagreements with Glory led to his departure, he has not been idle. For two years Saki has been continuously training in both striking and grappling. What people may not know is that this ultimate striker has been training in wrestling for over five years. It is a given that once in the Octagon, most fighters will not be comfortable challenging him standing. This has allowed Saki and his coach Tam Khan to prepare a perfect game plan in the domain of grappling and mixed martial arts. Tam Khan, notorious for his entrepreneurial skills, holds a professional MMA record of 6-3-0. He has been elevating the MMA scene in Dubai since he moved there in 2008. He is the owner of TK MMA and Fitness gym (TKMMAFIT) located in Media City Dubai, and was the man behind Dubai Fighting Championship (Dubai FC), Contender MMA, Glory and HM Fitness. He has built up the likes of Mounir Lazzez, Mohammad Yahya and other regional fighters. Watch out UFC fighters, this Turkish beast is coming to dominate! Brave CF’s Al Selwady and Al-Selawe Calling For Jordan Event.